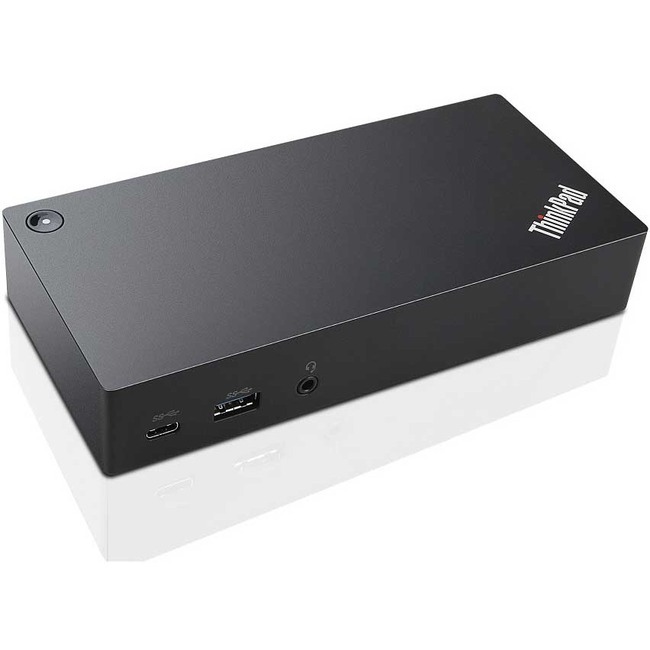 Marketing Information The ThinkPad USB-C Dock is a new universal docking solution ensuring a productive workstation. Experience all your productivity needs including video, data, and wired network all while delivering continuous power to your laptop via a robust USB Type-C port. Simply connect your laptop or tablet with the dock and boost your productivity in no time. Single UHD display30Hz or dual FHD displays allows you to enjoy a vivid video experience.Always Connected via USB Type-C Connect the ThinkPad USB-C Dock to your laptop or tablet with a single cable and get immediate connectivity to multiple displays, a wired network, your audio device of choice, and all your USB peripherals.